"Sigurd, you promised you’d never leave my side. I’m... I’m scared. If you leave me now, I... I fear I’ll never see you again. Please... let me go with you." Deirdre was the first character I fell in love with when I read Genealogy of the Holy War, and my love for her hasn't changed. 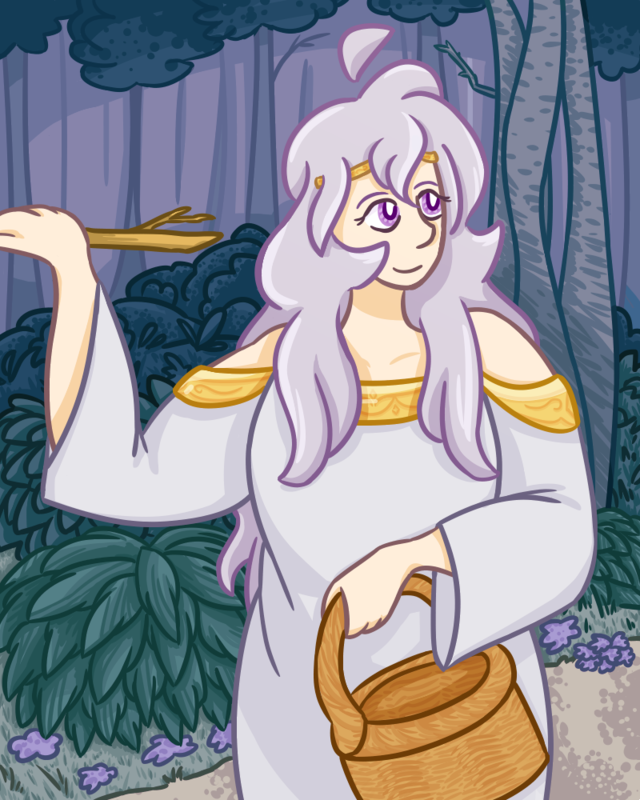 The scene I've drawn is Deirdre walking through the Spirit Forest to the market, where she'll meet Sigurd for the first time!